Hey Mad Fit Crew! Did find your fit at Mad Fitness SB? If you have been following any of our social media pages lately, you have probably noticed our new catchphrase: #FindYourFit. You’ve seen it a bunch, but do you know what it means? I’m here to tell you a little more about Finding Your Fit means to me! 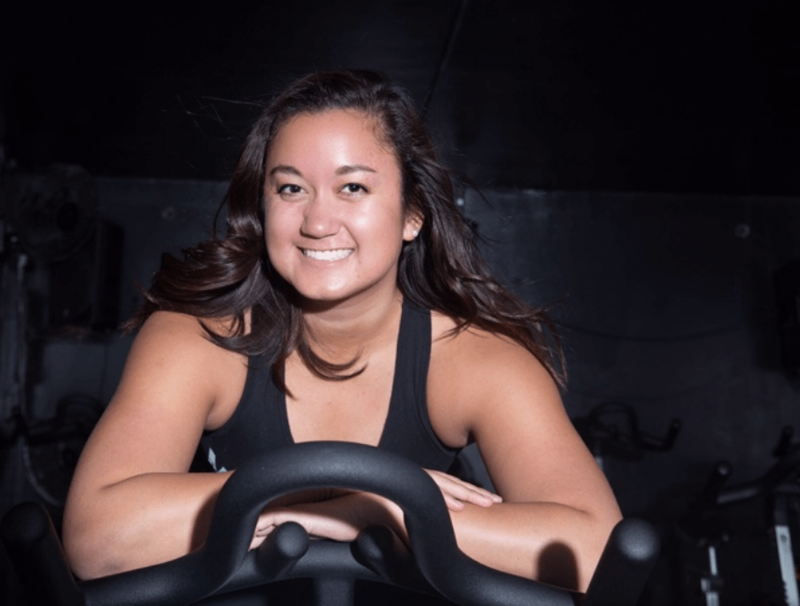 For those of you that don’t me super well, my name is Aly and I am the Gym Manager and one of the spin instructors here at Mad Fitness! My favorite color is purple, my favorite movie is The Parent Trap, and I love ice cream. You might recognize me as the headband-wearing, high-bun-balancing person running around the gym at all hours of the day! When I started going to Mad Fitness I had just “retired” (AKA graduated college, woohoo!) from Division-I collegiate swimming and was almost fully recovered from a knee surgery. I had the post graduation blues: I wasn’t super happy, I was definitely out of prime swimming shape, and trying to adjust to living in a new city. The worst part was that I didn’t feel like myself anymore. With the encouragement from a close friend, I signed up for my first class at Mad Fitness. I was terrified. Trust me when I say I thought up every excuse in the book to try to get out of going to this class. As fate would have it, I somehow got myself to walk through the front door, into the spin studio, and parked myself on a spin bike (in the back row of course). What follows is 100% accurate, the full truth, and completely honest…I tried one class at Mad Fitness – ONE – and I was hooked. To keep a long story short, I went from spin-class-goer to front-desk-worker to Gym Manager and Spin Instructor. Say what?! The best part is…I’ve never been happier! I graduated from TCU with a Bachelors of Science degree in Nutrition and I am now a Certified Specialist in Fitness Nutrition. We now offer nutrition consultations at Mad Fitness! If you have questions about nutrition or have hit a slump in reaching your fitness goals, set up an email with me to set up a FREE 30-minute nutrition consultation! I teach 5 MadSpin classes: Tuesday 7am, Wednesday 12:15pm & 5:30pm, Thursday 7am, and Saturday 10am! Sign up here…MadSpin is a great class for beginners as well as more advanced spinners. I can honestly say that teaching spin gets me through the day. It makes me so amped to teach I can barely contain my excitement! Imagine this…it’s a dark room…music is blasting…all your friends are there…that’s spin class! If you’re looking for a new fitness family, you’ll find it at the Mad Fitness spin studio! It was amazing to find a better relationship with working out and a refreshed interest in health & wellness. Teaching spin all day, every day makes me so stoked! 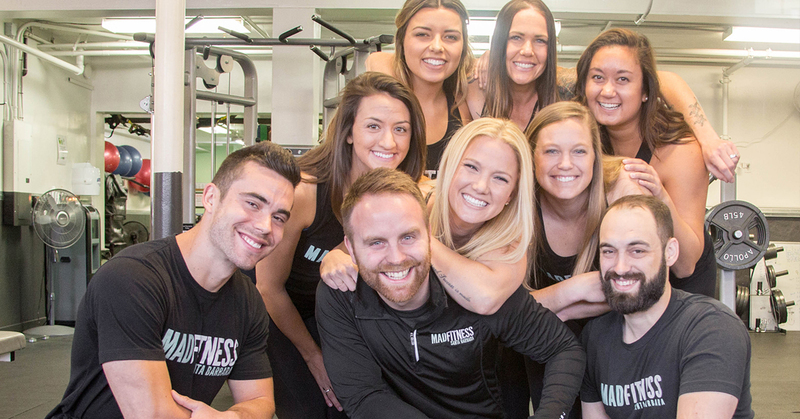 I found the most amazing fitness community that turned into my family…I found my “fit.” At Mad Fitness SB we encourage you to Find Your Fit – whether that be getting physically fit, improving your mental fitness, or finding where you fit. You will #FindYourFit at Mad Fitness! If you are new to Mad Fitness SB we are offering a special promotion! Through the end of July you can get a 21 day Mad Fitness Gym Membership for only $21! Sign up here or in person at 1236 Chapala Street in downtown Santa Barbara! If you are not sure where to begin with exercise, nutrition or if you are recovering from an injury and need some direction fill out the Mad Fitness Questionnaire and you will be provided with a complimentary consultation from one of our trainers.